Freddie Freeman's rate stats this season are just a bit off. A .259 batting average and .313 on-base percentage pale to his rookie .282 and .342 rates. 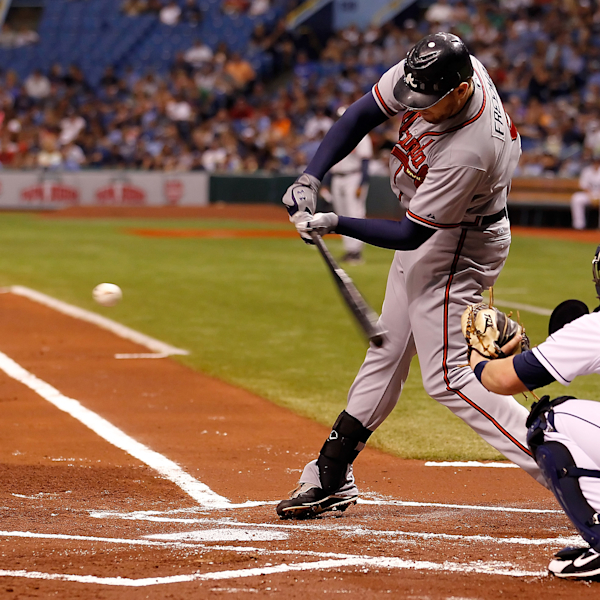 Aside from that minor blip, things are looking good for the Atlanta Braves' first baseman. His counting stats: Runs, HR, RBI, project higher than last year, when he finished 2nd in NL Rookie oh the Year voting. In impressive fashion this season, Freddie Freeman leads the Major Leagues in Line Drive rate. 33% of the balls he's put in play have been line drives. That's not just the highest percentage among all batters who qualify for the batting title, it's also the highest of anyone with a minimum 200 plate appearances in any season since Fangraphs started tracking batted ball data in 2002. 2003 was an awesome year for line drives.